Music and interviews featuring cutting edge artists from around the world. Including "Check This Out", which showcases new releases of jazz and related music. Tyshawn Sorey is more than one of the most highly-recruited drummers among the jazz intelligentsia (like pianist Vijay Iyer, with whom he plays through Sunday at the Village Vanguard). On this podcast episode of The Checkout, the multi-instrumentalist, composer and Newark native opens up about his unusual past, his early influences and his most ambitious recording to date, The Inner Spectrum of Variables. When the Los Angeles-based multi-instrumentalist Louis Cole isn’t making tongue-in-cheek music videos, he’s probably on tour flaunting his postmodern jazz-rock project, Knower. A few months back, he assembled a big band of all-star jazz talent at Public Arts in Lower Manhattan. (It sold out instantly.) Luckily, this project comes to life again on Saturday, Aug. 4, at the 2018 Newport Jazz Festival. When it comes to Colin Stetson's music, joy is found in the improbable and seemingly impossible places. It's often been said that Stetson's signature sound — hallucinogenic rhythmic swells using just a saxophone, a pair of lungs and some well-placed microphones — is almost supernatural. It's made even more incredible by the fact that Stetson prefers single takes, with no looping or overdubbing. As he told Stereogum: "The addition of unnaturals is what I avoid." Layth Sidiq, a musician born in Baghdad and raised in Jordan, has a story to tell. He's a "Son of Tigris," as he tells it, yet he was schooled in the United Kingdom and United States. Through his travels he has soaked up an abundance of sounds, from Egyptian singer Oum Kalthoum to Johannes Sebastian Bach to American jazz, his newfound love. A violinist gives a voice to his people. Tim Conley, who goes by MAST, was reluctant to chronicle a painful story from his personal life and translate it into an expansive suite of music, Love and War. But as this multi-instrumentalist tells us in this podcast, sometimes the best art comes from suffering, and out of the darkness can come light, redemption and growth. Multi-instrumentalist Tim Conley on his deeply personal story behind Love and War. French singer Camille Bertault's life changed almost overnight after she posted a video of her singing John Coltrane's "Giant Steps." After the video was shared by thousands, she became an internet darling for her whimsical sing-a-longs with artists across the musical spectrum: Hermeto Pascoal, Cory Henry, even Glenn Gould's Goldberg Variations (performed as she prepares dinner). In this podcast, she tells us about her viral moment, her debut album, and her major-label deal with Sony. Camille Bertault on her instant rise to jazz popularity. You've probably heard John Hébert's bass behind a jazz heavyweight or two — late legends like pianists Andrew Hill and Paul Bley, as well as present-day figures like guitarist Mary Halvorson and pianist Fred Hersch. In this brief podcast, Hébert shares the story behind "70's and 80's Remix," an original tune from from his album Rambling Confessions. Bassist John Hébert on his "70's and 80's Remix". Vinicius Cantuária, the singer and guitarist from Brazil, has gone through many musical phases during his lifetime. He was a loud prog-rocker in his teens and early 20s, then a pop star in his 30s — writing songs for Caetano Veloso. These days, he's a Brooklynite who whispers the soft, sophisticated melodies of the genius composer Antonio Carlos Jobim. Vinicius Cantuária pays tribute to his friend Antonio Carlos Jobim. In the jazz world, the name O'Farrill is synonymous with Afro-Latin jazz royalty. Trumpeter Adam O'Farrill is the third generation of that royal family. He is the grandson of Chico O'Farrill — the legendary composer and arranger, one of the primary creators of Afro-Cuban jazz. His father, pianist Arturo O’Farrill, is a Grammy-winning artist, and founder of the Afro Latin Jazz Alliance. But our focus here is on Adam, who recently released an acclaimed debut album, Stranger Days. Trumpeter Adam O'Farrill on his debut recording as a bandleader. Sofia Rei's pan-American ambitions are inspiring. A singer born and raised in Buenos Aires, Argentina, she was exposed to the African and Andean musical inventions native to her continent: folklore from Peru, Colombia, and Uruguay. Then she settled in New York City to surround herself with artists sculpting the downtown jazz scene, like composer John Zorn and guitarist Marc Ribot. In our studio session, Rei weaves all of these influences into one compelling tapestry not beholden to any tradition, and tastefully renders them all modernistic. Listen to a journey across the Americas with Sofia Rei. It was a trip to West Africa that set the career trajectory for Daniel Freedman. A drummer-bandleader born and raised in New York City, Freedman has a deep affinity for all things Afrobeat. But even though he's studied with djembe musicians and Gnawa masters, those traditions don't explicitly inform the music he makes. His African influences, Freedman suggests, are much more ambiguous and subtle. Drummer Daniel Freedman opens up about his latest Afrobeat jazz recording. Guitar stars pay tribute to Django Reinhardt in our studio. The French gypsy guitarist Stephane Wrembel celebrates the 10th anniversary of his Django a Gogo Festival on Friday night at Carnegie Hall, and he has lined up some six-stringers that you wouldn't normally associate with Django Reinhardt, the hot-jazz pioneer. Among them is the great Al Di Meola, who recently joined Wrembel in a unique studio session at WBGO. The pianist finds truth in a world of phoniness. George Burton has been a pianist to watch in Philadelphia, his hometown, for almost 20 years now — since the late 1990s, when I was a close observer of the scene, and he was a jazz performance major at Temple University. Burton has since put in countless sideman hours with artists both local (saxophonists Odean Pope and Bootsie Barnes) and international (singer-songwriter Meshell Ndegeocello), not to mention intergalactic (the Sun Ra Arkestra). But he hadn’t released his own album as a leader until last year. Bilal's latest collaboration with LA-based producer Adrian Younge. Bilal makes headlines, whether he's performing a fiery (and most hilarious) tribute to Prince at the BET Awards, or making a cameo on Common's Black America Again tour. But forget all of the stage fireworks and politics for a moment. What makes this singer so great is his range — not just vocally, but also with his uncategorical Soulquarian goodness. He dirties up our definitions of sound, melding jazz, rock, soul, and R&B. This program features our own unique recording of Bilal with Igmar Thomas' Revive Big Band, as well as a recent collaboration with the LA-based producer Adrian Younge, In Another Life (2015). Jacob Collier capped off an already wild year by winning two Grammy awards a few weeks ago for "Flintstones" (Arrangement, Instruments and Vocals) and “You And I” (Arrangement, Instrumental or A Cappella). This was the year where the British multi-instrumentalist says he took his sonic wonderland playground – his “room” in his parent’s home in the UK – and take it on the road. Snarky Puppy's keyboardist has his own electric and acoustic projects. You probably don't know the pianist by name, but you may heard of the band he co-founded. Bill Laurance is the keyboard wiz for Snarky Puppy, the band known for its indefatigable work ethic, communal spirit, and almost cult-like following. Now, Laurance brews up some projects of his own that imbibe that "Snarky" vibe. In this podcast, the artist talks about that -- his fetish for the clavinet, rarefied synth, and anything 88-key related; his affinity for Afrobeat; and the Miles Davis recording that made him not cancel his studio session, Aftersun. We'll also hear Laurance, in a special acoustic setting, as part of a new 360 video shoot with his London band, featuring Joshua Blackmore (drums), Chris Hyson (bass), and Felix Higginbottom (percussion). In this episode of The Checkout, WBGO's Simon Rentner speaks with pianist Kenny Barron on the occasion of his induction as an NEA Jazz Master. First published January 13, 2010. The drummer Nate Smith on his first album as a bandleader. Nate Smith is a drummer in high demand, and he could have gone in almost any direction on his debut album as a leader. What he explores on Kinfolk: Postcards from Everywhere is his family history — from his grandfather, who worked a blue collar job in the Jim Crow South, to his parents, who earned enough to send him to college. Danilo Perez is more than a pianist. He’s an educator, urban developer, the proprietor of his own jazz club – Danilo’s Club – in the heart of old Panama City, Casco Viejo. He’s also the Cultural Ambassador of Panama, where he presents his annual Panama Jazz Festival, which just wrapped up for the year. Donny McCaslin remembers his former mentor and old boss David Bowie one year after the rockstar's death with his recording Beyond Now (Motema). The tenor saxophonist joins Mark Guiliana (drums), Nate Wood (bass), and Jason Lindner (keys) in performance of new arrangements of classic Bowie material at the 2016 Charlie Parker Jazz Festival at Tompkins Square Park in Manhattan. The Donny McCaslin Group performs at the 2017 Winter Jazzfest on January 6th. Music mix by David Tallacksen. The Westerlies -- two trumpeters and two trombonists from Seattle -- breeze into our performance studio. This chamber jazz setting features a "blues fugue" and an arrangement from a 17th-century English and Scottish folk ballad discovered by Sam Amidon and Nico Muhly. The band features Riley Mulherkar & Zubin Hensler (trumpets), and Andy Clausen & Willem De Koch (trombones). The Checkout and Berklee College of Music present pianist Lawrence Fields, class of 2008. He joins Vicente Archer (bass), Corey Fonville (drums), and John Ellis (saxophone) at Cafe 939's Red Room in Boston. Originally published February 4, 2016. Two of David Bowie's last band members, saxophonist Donny McCaslin and pianist Jason Lindner, visit our studios to celebrate the British rockstar's final album Blackstar, a recording that features some of the finest New York jazz-trained musicians. McCaslin and Lindner give us a unique duo performance. Music recording by David Tallacksen. Snarky Puppy's Michael League: "Sylva"
Originally published May 27, 2015. Bassist Michael League talks with Alex Ariff about his band Snarky Puppy and their new album Sylva, which features the Metropole Orkest. A lot can happen in six years. For Milwaukee-bred trumpeter Philip Dizack, it marked the passage of an era worth documenting in his own artistic chronology. Chris Dingman couldn't have a better name for a man who strikes metal bars for a living: "It's perfect," he says. "I had no idea I'd become a vibraphonist." He began playing vibes seriously 12 years ago, studied at Wesleyan University and the Thelonious Monk Institute, and then made the big-league swing into New York's hyper-competitive jazz scene. Dingman has just released his debut album, Waking Dreams. The Jason Moran/Robert Glasper Double Trio performs at 713->212: Houstonians in NYC. Recorded January 15, 2011 at 92YTribeca. The Checkout is live at Dazzle Jazz Club in Denver, with saxophonist JD Allen's Trio and special guests, Ron Miles and Henry Butler. WBGO's Josh Jackson is your host. Pianist Hiromi performs on WBGO's The Checkout. Recorded 2/02/10 in New York, New York, USA. 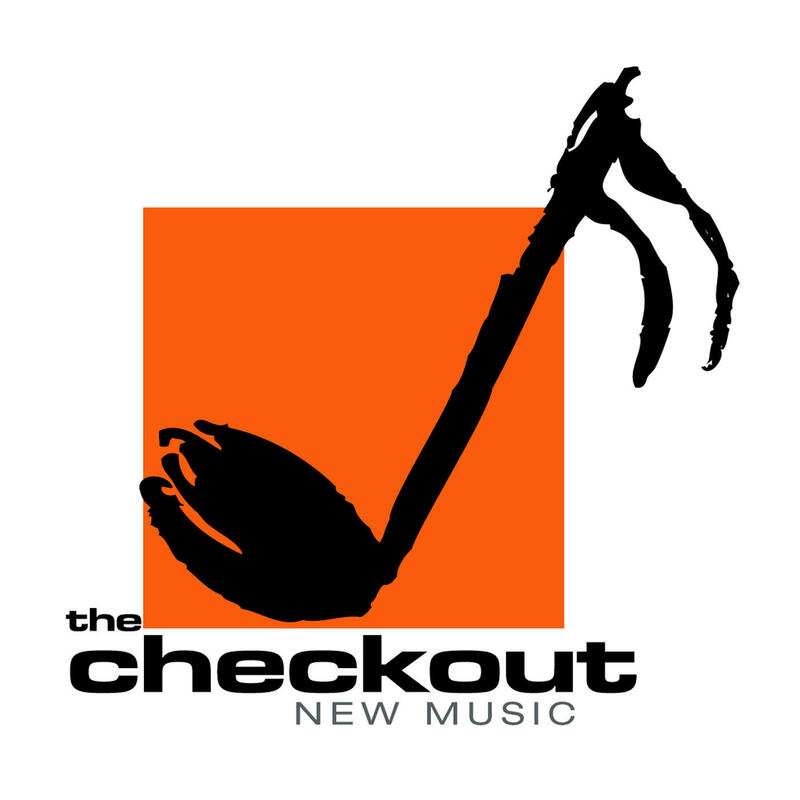 Pianist Gerald Clayton performs on WBGO's The Checkout. All compositions by Gerald Clayton.